In theory, developing an integrative clinic should be simple. However, they are not easy because of financial issues. 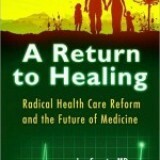 The development of Healing Circles was a major step in taking "listening" and "caring" to deeper level. Coupled with providing Healing Circles at no cost, patients become willing to share their life story and extend the boundaries of their understanding of the underlying issues that lead to disease.